This extension will export customer information for the reservations entered into your planyo site into a Mailchimp list. 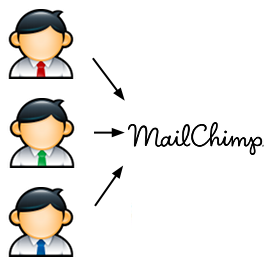 Mailchimp is a hugely popular service for managing mail campaings / newsletters. They offer free accounts which let you manage even large mailing lists. By default the export will be done at the time of confirmation although you can change this so the export works for unconfirmed reservations as well. The extension will use either single or double opt-in. In case of export of all existing contacts, double opt-in will always be used. Double opt-in means that all the customers who make a confirmed reservation will receive an opt-in email from MailChimp. Only after clicking on a link in the email they will be added to your mailing list. If you choose single opt-in you'll need to add a checkbox to the reservation form asking the customer if they wish to join your mailing list. The fields exported are: email address, first name, last name, physical address, phone number.